The Spa Facilities are owned and operated by Mere Golf and Country Club Limited (“the Proprietor”). All guests are subject to the rules of the Proprietor, acting through its Management and Staff. These rules and regulations are designed to ensure safe and enjoyable use of the facilities. Please read and observe these at all times. • The Club is open 6:30am until 10:00pm Monday through to Sunday. Opening hours will vary on Christmas Eve, Christmas Day, Boxing Day, New Year’s Eve and New Year’s Day. • Day Spa Guests may access the club between 9:00am-5:00pm. • Hotel guests are able to use the Health Club and Spa from midday on the day of check in until 11:00am on the day of check out. After this time an additional fee will apply should guests wish to use the facilities. Peak Members and those who have opted to upgrade their golf membership have access at all times 6:30am until 10:00pm Monday through to Sunday. Off Peak Members have access between 9:00am-17:00pm on weekdays and 13:00pm-20:00pm on weekends. Express Members have access between 10:00am-16:00pm on weekdays only and do not have access to any classes. The club exercise the right to charge anyone who is found to be using the club outside of their allocated hours the price difference from the point of their membership inception. All guests and members must report to the spa reception on arrival to the club. All Spa guests must check-in at the Spa Reception 30 minutes prior to the time of their treatment. Guests will then be required to complete a consultation card. The Spa Reception will also supply a towel, robe and slippers on arrival, and your Spa journey will be explained to you. At the end of the day all robes, slippers and towels must be disposed of in the baskets provided in the changing rooms. All hotel guests must sign in to use the facilities by presenting their room card. Should you wish to use the Gym, you must read, understand and sign the Health Commitment Statement. Members and guests must obey the club rules at all times. The club have the right to cancel or suspend your membership without notice if the club rules are seriously or repeatedly broken. No refund would be given under these circumstances. You and your guest must not abuse any equipment or facilities of the club, smoke in any part of the club, behave violently or in a way that distresses anyone else. any conduct we deem inappropriate will result in spa management’s right to refuse/access entry. Both The Mere and external instructors reserve the right to refuse entry to a class is the member is over 5 minutes late. The Mere accepts no responsibility for any lost or stolen items with the lockers or whilst on the premises. Each locker is for day use only. Any items which are left in lockers will be removed at the end of each day and placed in lost property for a week. After this time, all items are disposed of appropriately. Advanced bookings may be made for Spa Treatments through the Resort Reservations Desk or via the Spa Reception Desk for members. All bookings require credit/debit card details to be provided in order to secure the booking. These details will be safely secured until the day of treatment. Cancellations must be made no later than 24 hours before the time of an appointment. We exercise the right to charge 100% of the proposed booking cost if this is not adhered to. Personal Training sessions may be purchased either individually or in blocks of ten. Personal Training sessions must be paid for by cash, card or cheque. Sessions cannot be paid for using the levy system. Cancellations must be made no later than 24 hours before the time of an appointment. Failure to do so will give rise to a cancellation charge of 50% of the proposed session price. Cancellations made within 24 hours of the booking will incur a 100% charge of the proposed session price. Personal Training sessions can only be carried out by The Mere Personal Trainers or those that the management team have authorised. Members and guests are welcome to enjoy the Spa Lounge & Bar in appropriate clothing which includes; day wear or a robe and slippers. We request that guests change out of wet swimwear before sitting in the Spa Lounge & Bar. In wet areas and for treatments we ask that you wear appropriate clothing. If in any doubt please ask your therapist or Spa Reception who will be able to guide you. Robes and slippers are complimentary for Spa Day Guests, and those who are having Spa Treatments, otherwise an additional fee applies. Whilst crop tops are permitted, they must fully cover the chest area. 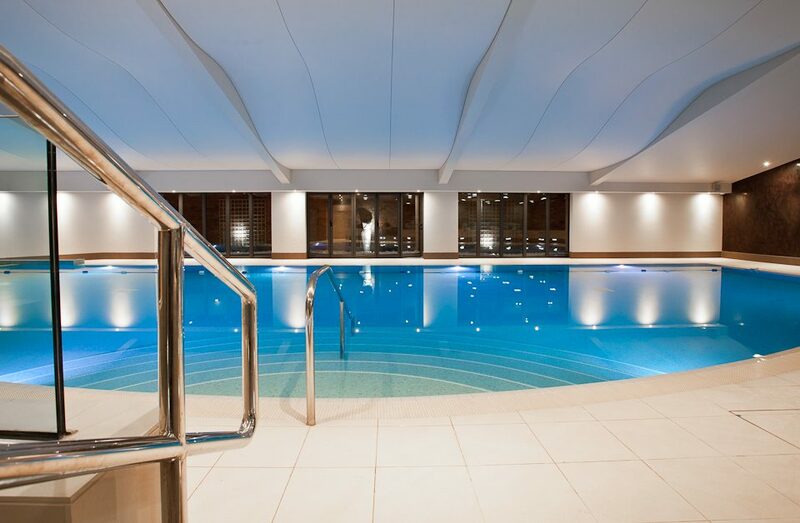 Members Guests can use the club with a valid up to date spa pass 7 days a week. Member’s guests or Day Guests who are paying to use the facility can only do so Monday-Thursday. Friday-Sunday must be pre-booked. Members are responsible for their guest’s behaviour whilst they are on the premises. When your membership expires your guest passes will no longer be valid. The club have the right to refuse admission. Guest passes have no cash value and cannot be sold by members or guests. Children under the age of 16 must have an adult club member with them and it is their responsibility to supervise them at all times. Children under the age of 16 are not permitted to use the gym unless they are attending a planned junior exercise class supervised by an instructor. Children under this age are also not allowed to attend adult classes. Children under the age of 14 are not permitted to use the swimming pool unless accompanied by a responsible adult. Children under the age of 16 are not permitted to use the hydrotherapy pool and thermal rooms. Children ages 8 years and older must change in the changing room appropriate to their gender. There is a poolside family / disabled changing room available. Before entering the pool you must shower. Please show between using the different wet area facilities. Running, jumping and diving are prohibited in the pool and hydrotherapy pool. Entry and exit to the pool must be via steps only. The pool is not attended by staff at all times, however, regular checks and CCTV is in operation at all times. Emergency buttons are also situated around the pool. The Mere reserve the right to operate a swim lane, aqua classes and swimming lessons. Up to date information can be found on websites, class timetables and via Spa Reception. No inflatables are permitted within the pool. Members and guest usage is subject to availability as per maximum bathing load. All children under the age of 8 must be accompanied in the pool by a responsible person of 16 years or above on a ratio of no more than 1 adult to 2 children. Whilst in the pool, the responsible person should maintain a constant watch over the child/ children and be in close contact with children who are weak or non-swimmers. Children under the age of 4 must be accompanied in the pool by a responsible adult on a ratio of 1 adult to 1 child. These facilities are for use by those over the age of 16 only Appropriate swimwear must be worn at all times in these areas. No shaving or exfoliation is permitted in these areas. All guests wishing to use the tennis courts must pre-book by contacting the Spa Reception. Appropriate clothing and footwear (tennis shoes or white training shoes) must be worn at all times. Use of tennis courts is complimentary for all Health Club Members and hotel guests. Guests of members will be subject to a guest fee. The use of mobile phones within the Health Club & Spa is strictly prohibited, except in designated areas. You are not permitted to film or take photos in any area of The Health Club & Spa. Smoking is prohibited in the Spa and its surrounding areas. Guest and members are not permitted to bring their own food and drink for consumption whilst on the premises, without direct consent from The Health Club & Spa Manager. The Mere have the right to confiscate the food and/or drink until the end of your visit. In order to help manage the flow of guests in the Health Club & Spa, from Monday 1st April 2019, a pre-booked system will be in place for all guest passes on a Saturday & Sunday. If you would like to use a guest pass at a weekend, please ensure that you email membership@themereresort.co.uk. Bookings will open 7 days prior to the weekend and will close on a Friday at 12pm. There will be a maximum capacity which is based on various factors so places will be offered on a first come, first served basis. We will also no longer be able to take payments on the day for guests, if you would like to pay to bring a guest at a weekend, please follow the above procedure to ensure we have space to accommodate you. Our reception team will be unable to accept any guest passes on the day if they have not been pre-booked, this also applies to children. It is your responsibility that you do not exercise beyond your capabilities and that you refer to a medical professional for any advice. You agree to make yourself aware of any notices, warnings and instructions displayed within the club. By entering into this agreement, each time you enter the club you are in good health and capable of exercising without it adversely affecting you. We require all members to access the facilities via our entrance barrier within your hours of membership. If you are just accessing the gym we would require you to present your membership card at the Spa Reception Desk. Your membership card belongs to you, you cannot loan it to another person. It is your responsibility to update the membership team if you are to change address / contact details. By signing the membership agreement you become a member of The Mere and are bound by the terms. All members must read and understand the Health Commitment Statement before using the gymnasium or any classes. This is displayed in the Spa Reception and can also be found on our website. By joining as a member at The Mere you are signing into a 12 month contract. You cannot cancel your membership during this period unless you can give a valid doctor’s medical certificate stating you should avoid exercise, or proof that you have moved more than 20 miles from the club, this proof must be in the form of a utility bill. The cancellation will only apply when the club receives the medical certificate or proof of address change. In both circumstances the cancellation will only be considered once you have been a member for at least 6 months into your agreement whether it is a new membership or a renewed membership. When you renew your membership you will be renewing into a 12 month contract and the conditions in 15, 16 & 17 will still apply. If you pay via direct debit and we don’t hear from you before the end of your contract / the date on your invitation to renew letter, your contract and membership will automatically renew for another 12 months. If you do not wish to renew your membership it is your responsibility to put your cancellation in writing to the membership team. By signing up to a membership at The Mere you agree to pay all membership fees on time.Your membership is subject to periodic increase (normally annually) If you have agreed to pay your membership fees by direct debit (normally taken on 1st of each month) you must pay for each month in advance. Members who choose to pay via direct debit will enter into a third party credit agreement to which they are bound by contract for a period of 12 months. Any agreement that is cancelled without consent from The Mere may affect your credit rating history and the outstanding money will need to be paid for direct to The Mere. The named member is responsible for ensuring all payments are made. Levy is our in house account system in which you can top up credit in order to use and spend around the resort. For every £50 you upload we give 10% uplift. If you decide not to renew your membership but have uploaded money onto your levy, your membership will be changed to a dining member allowing you access to these funds. If the levy has been gifted from The Mere the levy will expire when your membership expires.